Where did you get my information? All the information we have is from public records. Specifically, all private property owners are registered with the county in which their property is located. This information is available to the public and searchable. 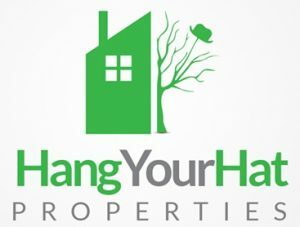 How does Hang Your Hat Properties LLC determine their offer price? We determine our offer price based on several factors such as location, topography, acreage of the property, and proximity to roads and utilities. How long does it take for you to buy my property? Some transactions can close in as little as five days. However, others may take several weeks or even a month or two. For smaller properties, we can typically close the transaction in-house, allowing us to buy your property very quickly as there isn’t a title company involved. However, with larger properties, we usually elect to use a title company to complete the transaction. Although title companies may take several weeks to facilitate a transaction, their use is imperative in transactions larger than $5,000.00. This is our company policy. Will Hang Your Hat Properties still buy my property with back taxes? As long as the back taxes are within reason, we will assume them when the transaction is complete. This page doesn’t have my question or an answer to my question? We would be happy to answer any and all questions you have! Find our contact information on the CONTACT US page.